Abstract vector art download with a unique set of shapes made up of wire frame lines that scroll and twist. 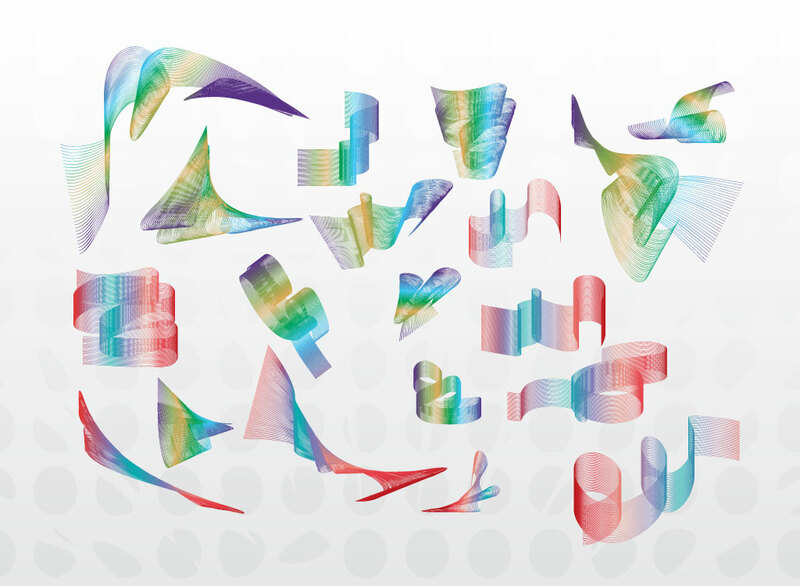 Each shape has a colorful gradient fill and compliments other graphics in the bundle. Use them together and create beautiful technology designs or try them faded as background elements. Tags: 3D, Colorful, Colors, Design Elements, Effects, Lines, Modern, Wire Frame.